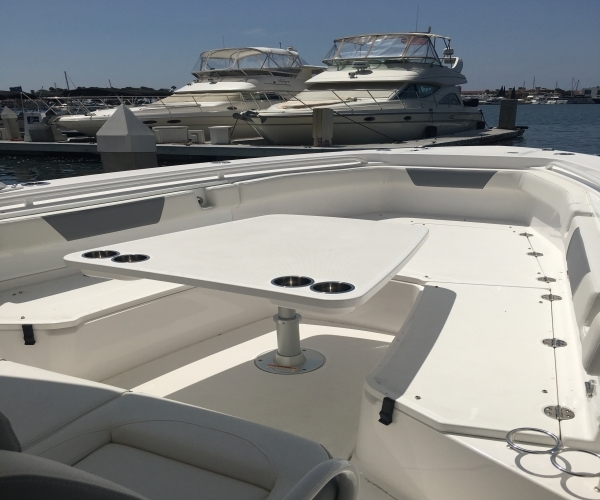 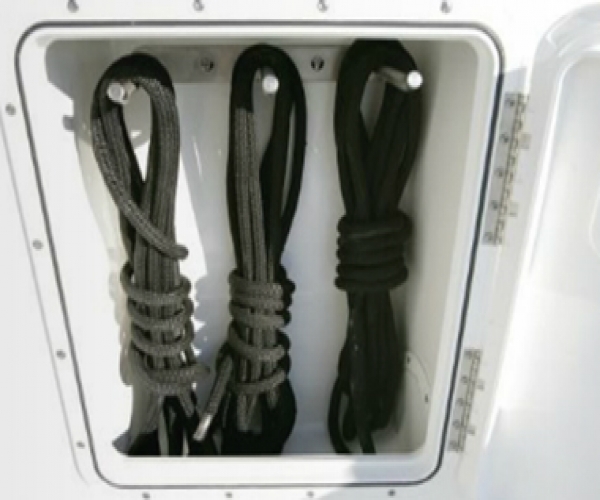 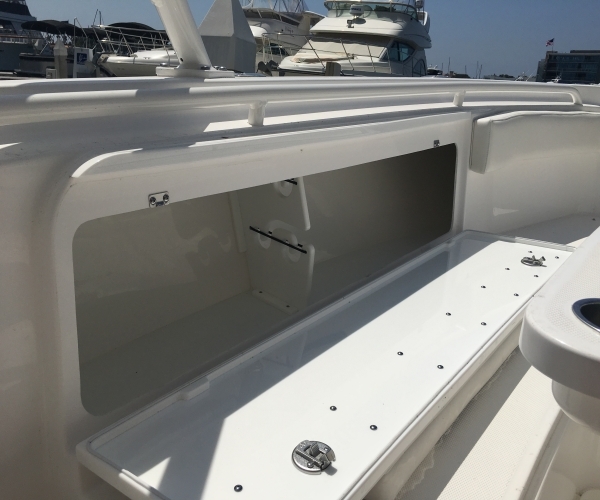 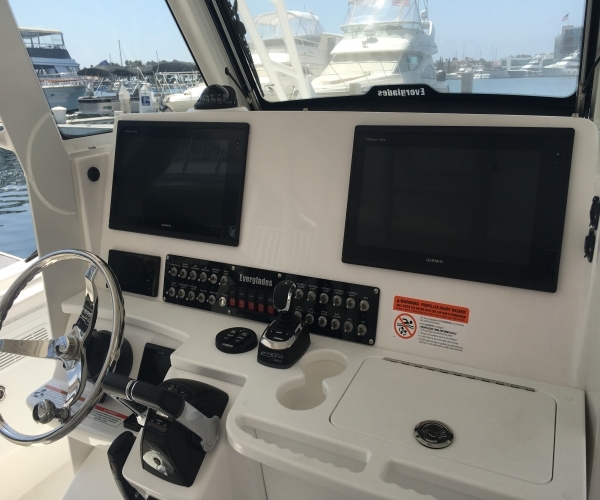 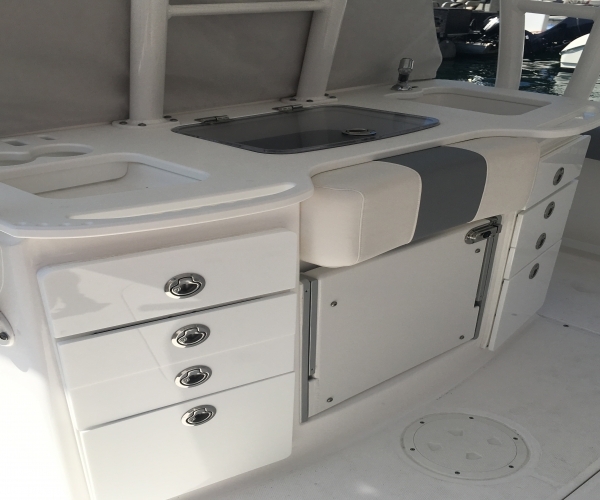 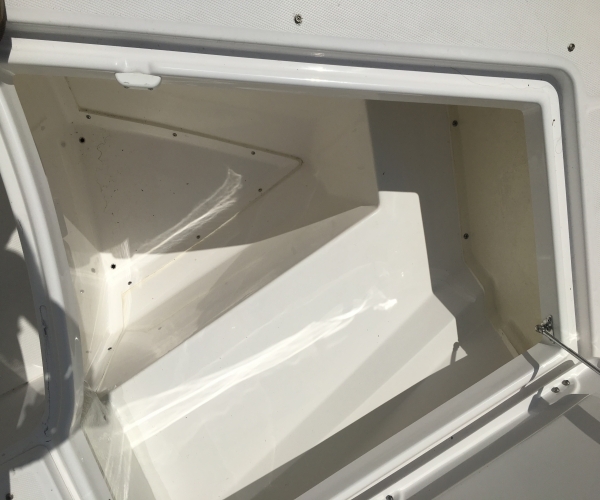 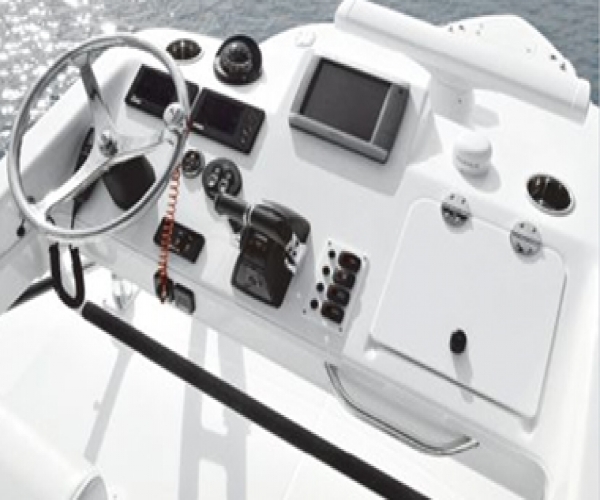 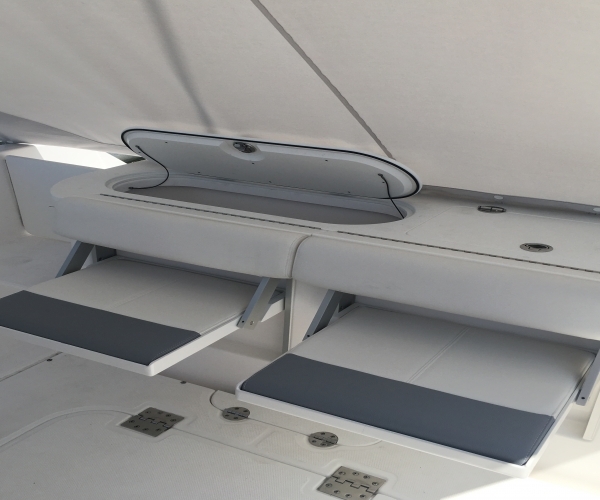 Center Console, With Twin Live Wells, Lockable rod storage. 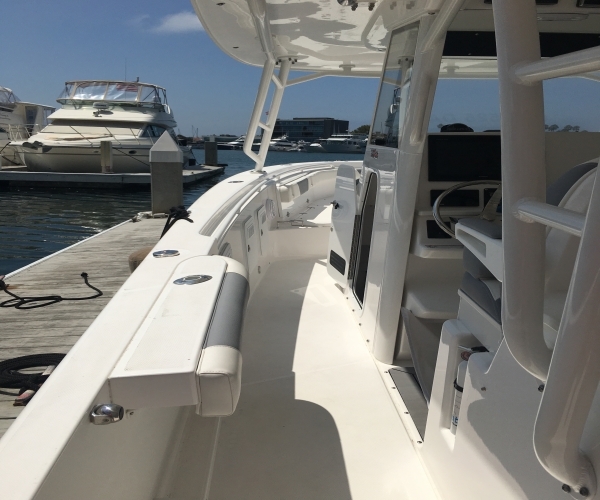 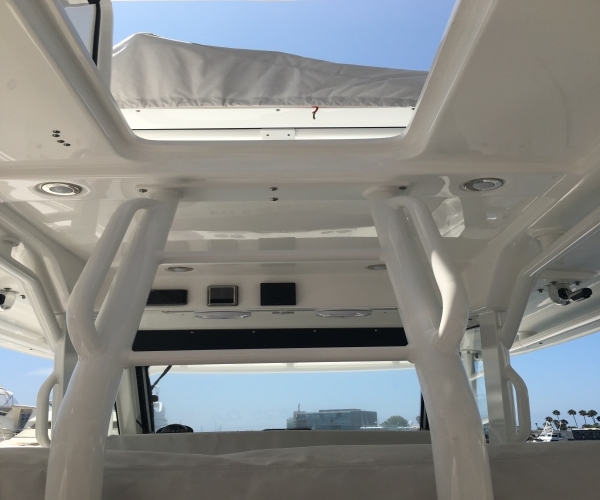 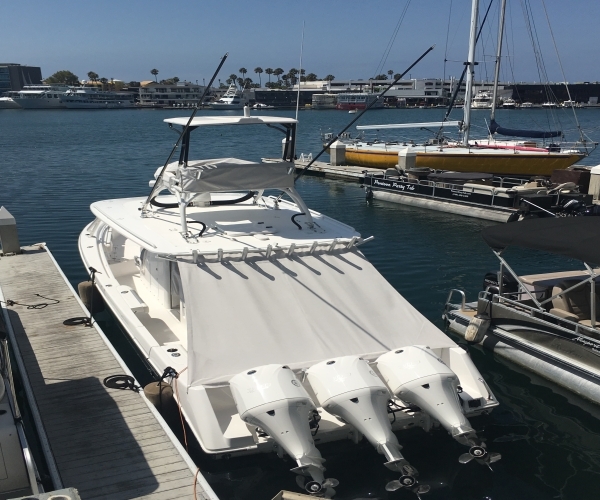 Outriggers, Rod holder and kingfish rod holders, Seating for 12-15 people, Bait Prep Station, Small sleeping area, Fresh Water Wash Down, Raw Water Wash Down, Side Utility door with dive ladder, Full Upper Station with Hard Top, X-Top Option for extra shade. 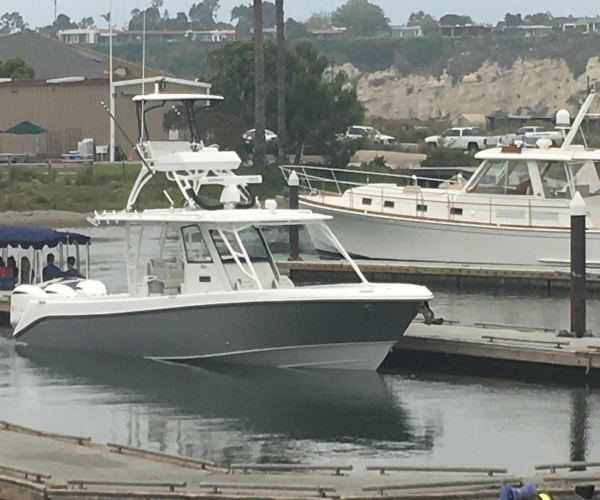 This is one great looking boat. 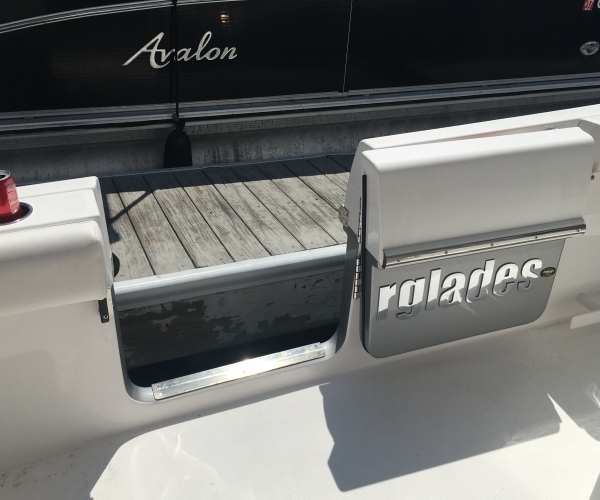 Awlgrip silver metallic paint. 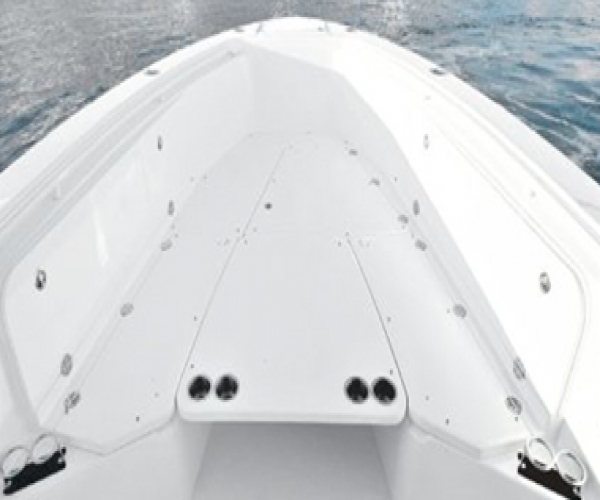 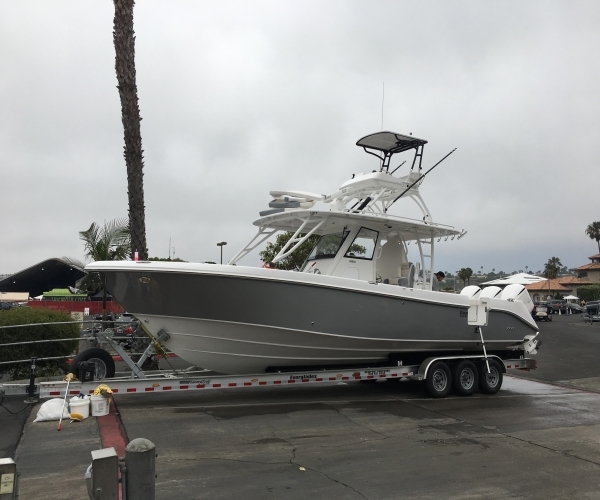 Lifetime Hull Warranty and a 5 year bow to stern warranty. 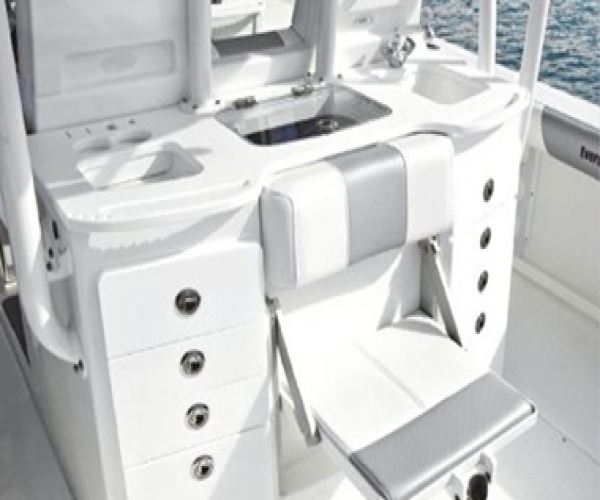 The best warranty of any center console on the market. 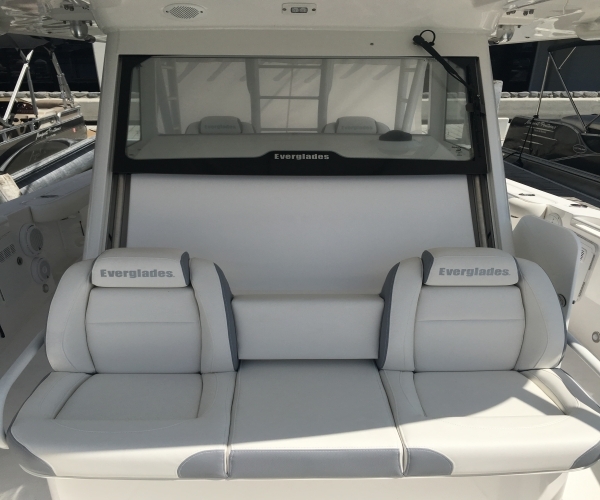 The Everglades name speaks for itself! 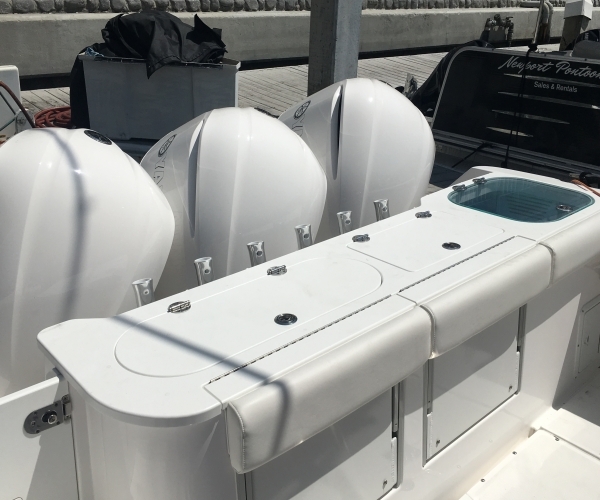 6 AGM 1000 batteries, Nautilus Charger, All Everglades wiring Harness and connections are done in house. 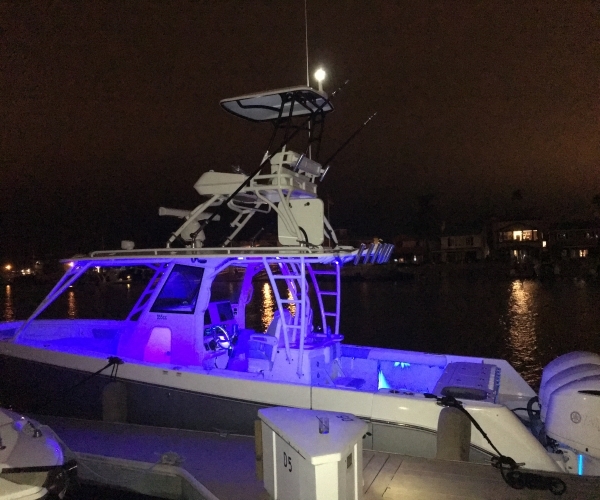 Under Water Lighting, LED lighting overhead and Accent Lighting in floor, Forward and Aft Spreader, Two Large Fish Boxes, Casting Platform that has Electric base that turns into table, Bow Shade when entertaining, Cockpit cover, helm cover, Helm Seat cover, Lockable rod storage and much more!